Description: Destiny promo poster signed by complete band: Biff Byford, Doug Scarratt, Nigel Glockler, Paul Quinn and Nibbs Carter in black sharpie pen. 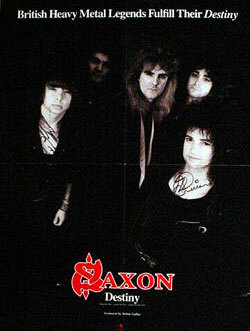 Note: Item signed on Saxon's 1988 US tour at On The Rocks in Dallas, TX. Description: HSAS 12" Promo Single. Signed in gold paint pen. Vinyl record not included. 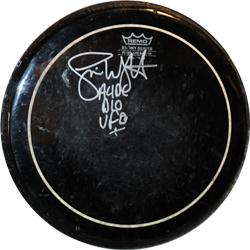 Note: Item signed on Sammy's 1984 US tour at the Mandelay Hotel in Irving Texas. Description: The Sextants US 45. Signed by complete band. 45 vinyl not included. 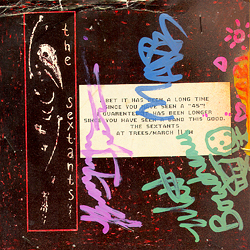 Note: Item signed on The Sextants's 1991 US at TREES in Dallas, TX. Description: Sheryl Crow 8x10 BW Promo Photo. Signed in silver paint pen. Description: Silverchair Complete Band Signed 4x5 Card. Signed in black and red sharpie pens. Personalized to Taylor. Description: "8 Remo Ebony Series drum head. Signed by Simon Wright in silver paint pen. 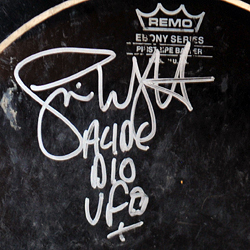 Note: Item signed on U.F.O. 's 2004 US at Nokia Theater in Dallas, TX. Description: Social Distortion Complete Band. 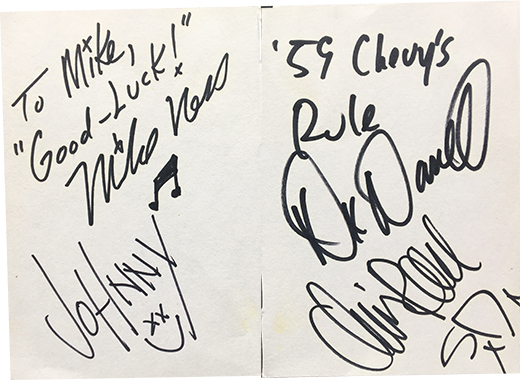 Signed Two 4x5 Paper by Mike Ness, Christopher Reece, Jonny "2 Bags" Wickersham and Dennis Danell signed in black sharpie sharpie pen. 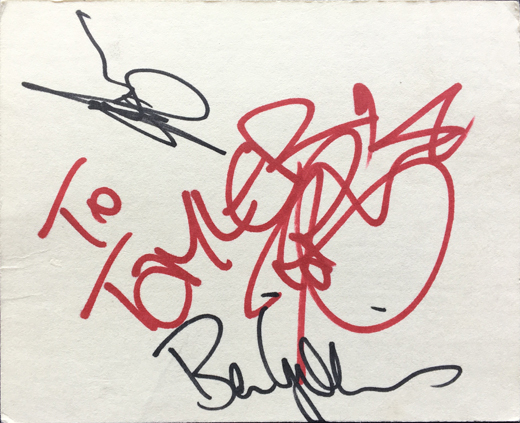 Note: Item signed on their 1992 US Tour backstage at the Bronco Bowl Arena in Dallas, TX. Description: Sonny & Cher 8x10 Color Candid Photo. Signed by Sonny & Cher in black and blue sharpie pen. 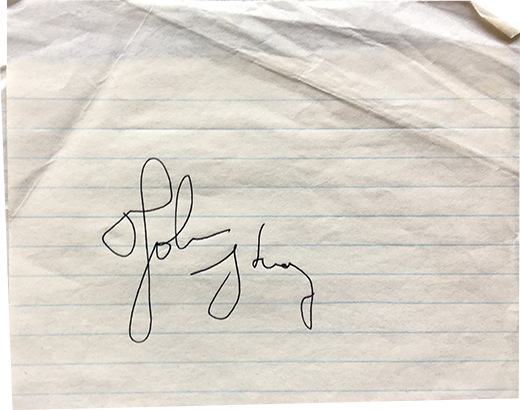 Description: Steppenwolf John Kay Signed 4x9 Paper signed in black ink pen. Description: Sweet Cous Cous US 45. Signed by complete band in blue and red sharpie pen. Note: Item signed on Sweet Cous Cous 1994 US tour at TREES in Dallas, TX.